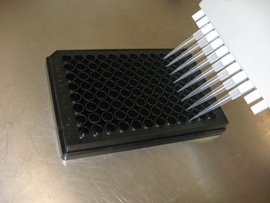 Glycerol-3-Phosphate Assay Kits | Cell Biolabs, Inc. Cell Biolabs’ Glycerol-3-Phosphate (G3P) Assay Kits are simple fluorometric or colorimetric assays that measures the amount of G3P present in cells or tissues in a 96-well microtiter plate format. Each kit provides sufficient reagents to perform up to 100 assays, including blanks, standards and samples. Sample glycerol-3-phosphate concentrations are determined by comparison with a known G3P standard.